Kayakers in the Salish Sea can hope for no greater thrill than to paddle alongside a pod of killer whales. Or to watch as one dives beneath their craft and pops out the other side—a seemingly benign moment shared by paddler and beast. Sound too good to be true? New research suggests that paddlers are causing disturbances to endangered southern resident killer whales in Washington State’s San Juan Islands. Whale watching there—by motorized boats and paddlers—is a US $50-million industry that draws at least 500,000 people per year. While the activity gives people an up-close encounter with the whales, and maybe even spurs them to care more about conservation, it also risks compromising the whales’ ability to rest, feed, breed, and socialize. In the study, researchers with the Whale Museum in Friday Harbor, Washington, report on 18 years of observations made for their Soundwatch Boater Education Program. The seasonal program compiles information on how frequently and in what ways boaters disturb the area’s killer whales. The data is broken down by the type of vessel involved and the ways in which boaters interacted with the whales. The hope is that by tracking boater behavior, the museum can help educate people about the best ways to avoid disturbing wild whales. While motorized vessels have borne the brunt of criticism over the years, the study finds that kayakers share some of the blame. In 2015 alone, 12,230 kayakers took to the waters off San Juan Island’s west coast with several commercial whale watching companies—a 30 percent increase from 2012. 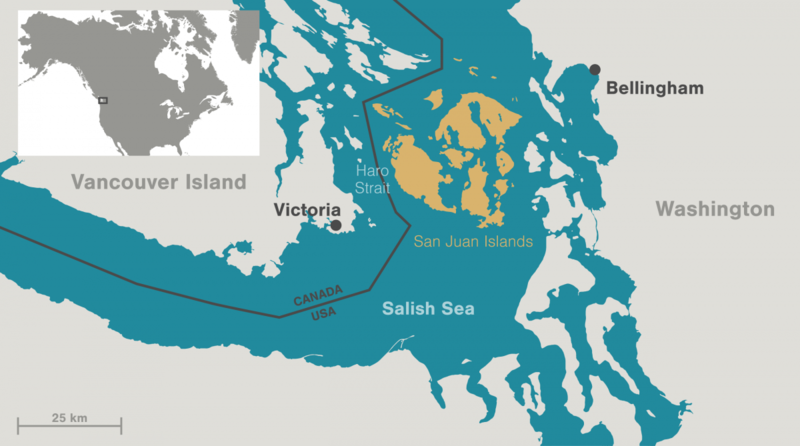 The area faces Haro Strait, and is a prime killer whale viewing location. In the area, legislation says commercial guides must be trained on how to avoid disturbing whales and are responsible for their guests’ behavior. Private kayakers must receive a training session from county park staff. Like other boaters, kayakers must stay 180 meters away from killer whales. When a whale approaches, kayakers are supposed to “raft up,” but some cannot resist the urge to get a closer look. “The idea is to form one object on the water so the whales are not actively maneuvering around kayaks,” explains Elizabeth Seely, lead author of the study and former Soundwatch coordinator. There are a number of ways to measure whale-kayak interactions, but the number of kayakers spreading out—that is, not rafting together—has risen the highest, from two recorded incidents in 2002 to 52 in 2012 and 32 in 2015, increasing the risk of disturbance. 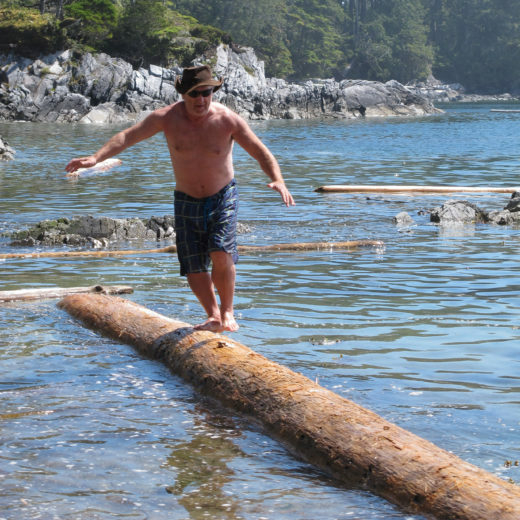 Canadian killer whale researcher John Ford, who teaches at the University of British Columbia, says he has repeatedly witnessed kayakers startle threatened northern resident killer whales, which may have viewed them as floating logs until they started paddling forward. Some people, however, feel the scrutiny on kayakers is misplaced. Mark Lewis, a guide with Sea Quest Kayak Expeditions, for instance, says that just four percent of total vessel incidents reported in 2015 (the final year of the study) involved kayaks. Conservation efforts to protect the area’s whales should focus not on kayaks, he says, but on finding more chinook salmon for the whales to eat. Kenneth Balcomb, founder of the Center for Whale Research in the San Juan Islands, agrees that the impact of kayakers is minimal, noting that killer whales are keenly aware of their surroundings. Cite this Article: Larry Pynn “Paddling in the Company of Killer Whales,” Hakai Magazine, Jan 24, 2018, accessed April 26th, 2019, https://www.hakaimagazine.com/news/paddling-in-the-company-of-killer-whales/.